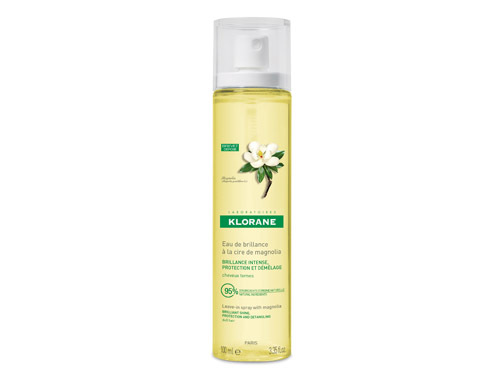 Leave-in spray with magnolia, brilliant shine, protection and detangling dull hair. Magnolia is known for the resistance and shine of it s leaves: from the cuticle of the magnolia leaf, moisturizers are extracted. Because of it s perfect affinity for hair, the magnolia wax is incorporated into this leave-in spray. Formulated without silicones it adds a protective veil of radiance to hair.